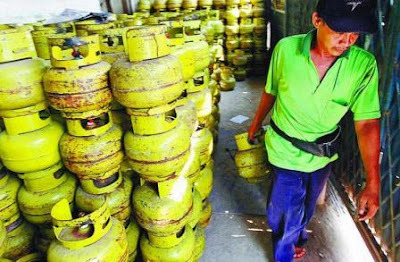 JAKARTA - Minister of Energy and Mineral Resources, Mr. Darwin Zahedy Saleh was optimistically declare success of government program of kerosene conversion despite of numerous casualties collided with the explosion of leaking gas canisters. "This program is remarkably succeeded. As noticed by KOMPAS daily news, the program taught people to leap on a higher level of technology so they were culturally changed as well, " Mr. Darwin said during meeting with Commission VII DPR RI (Indonesia's Legislative Body) on Thursday, (22/07/2010) in DPR RI's meeting hall, Jakarta. Mr. Darwin affirmed, 90 percent of conversion program had been being accomplishing since the first launch in 2007. It was a hard work, though. Peoples used to be pleasant hereditary to kerosene. He continued, the program itself enable country to gain saving of 15 billion rupiah net. Total saving calculated from the first launch in 2007 was 50 billion rupiah. The government perceives the risk of collateral damage as the result of misused or defected units this far, so that they don't run the program as business as usual. Mr. Darwin, of Democratic Party promised to intensify socialization of portable gas stove safety application. We hereby conclude that we're now stuck in the middle of ambiguity of governance policy. Many of public figure would manly show-up on the media to declare upon a successful policy that is show no complain or retention among public. In opposite, few of them commit responsible when many other would better flown away from public condemnation of a mischief policy they made. We're all just notice that few of elite-political official preludes public needs. Many left become voracious to position and property. The uncompromising "napalm" still exist. The "disguise explosives" are about to blow. We don't even know when will they stop to injure people around. All that we can do is crying for mercy of God, so that the truth revealed to many peoples then those 3 kilos gas canisters withdrawn.